It is 5pm and it starts. 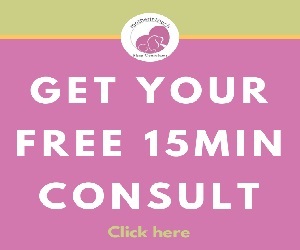 Your newborn baby is fussing and there appears nothing you do will help to settle them. Sounds like the witching hour has arrived again. In European folklore, the witching hour is the time of the day when demons, monsters or other horrifying supernatural creatures are at their most powerful and wicked. Some people call it the baby’s “arsenic hour”, which sounds horrifying. The witching hour can be described as a fussy period that almost all babies go through. It tends to happen around the same time every day and most frequently occurs in the late afternoon and evening hours (5 p.m.- 12 a.m.). The witching hour often begins between weeks 2 and 3. It will peak around week 6, and then decline around the 3-month mark. The worst thing is that the term “witching hour” is misleading… this period often lasts 3-4 hours or more at a time! I’m sorry to say, but there really are no known causes for it. Colic and reflux are often to blame. cries inconsolably for more than 3 hours. 3 days out of every seven. Colic is sometimes applied to any unexplained, persistent crying, usually assumed to be gut-related. There is, however, no scientific evidence that colic exists as a physical problem, or that wind is painful. The idea that babies cry for a long time because the wind is ‘trapped’ is not well supported by the research or physiology. The baby who gets rid of wind (one end or the other) and then stops crying may have taken in the wind by crying rather than wind causing the crying. Overtiredness: Babies sometimes have a hard time developing a good sleep pattern, and over time that sleep debt will build up until they’re actually pretty miserable. Overstimulation: Babies can easily become overstimulated due to all of the sights and sounds around them. While your baby isn’t necessarily taking part in all of the action, it still has an effect on her, which in turn can cause fussiness. Prolactin levels drop: This could be contributed to a natural dip in mum’s prolactin levels (your body’s milk making hormone) as the day progresses, resulting in a slower flow. As the milk flow is slower, the baby may become frustrated, and as the milk volume is lower, the baby may want to feed more often. Be assured, this is a normal occurrence in breastfeeding. Feeding your baby often during these times ensures that you will have a good milk supply. Reduce overtiredness by ensuring their wake time between naps is age appropriate to reduce that sleep debt from building up. Start with a regular feeding and nap schedule which is age appropriate. 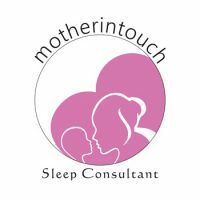 This will allow you to stop second guessing and reassure you that your baby is getting the sleep they need and they are not hungry but it is just a fussy period which is entirely normal. This is the time of day to offer frequent feeds or cluster feeding, as it offers comfort and allows them to relax and calm down. 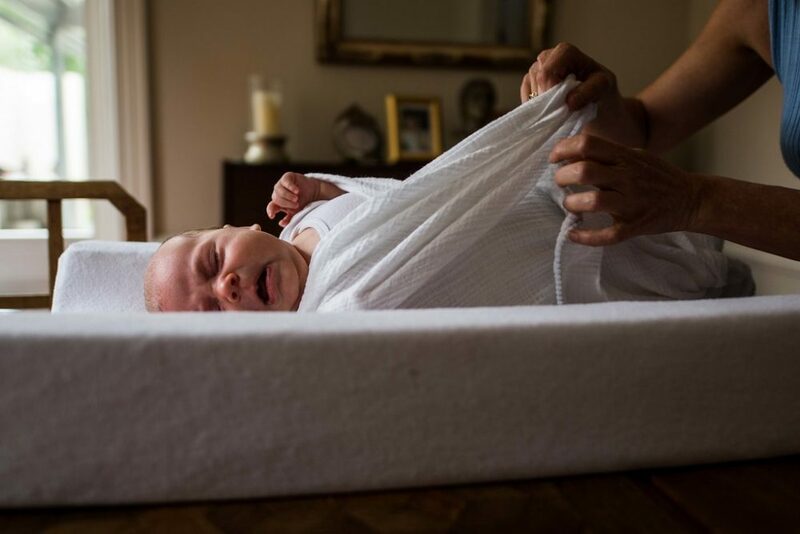 Skin to skin with your baby is also a great way to help calm and regulate their little system. Doing skin to skin is like a baby reboot! Skin to skin isn’t just for moms, dads can do it as well. Using a baby carrier allows baby to still be close to you, but frees up your hands to do other tasks. Dimming lights, slowing down the hustle and bustle of household activities, and switching to a low-key routine can often help those babies who are easily over stimulated. Bath time is often done around this time as it is calming and relaxing. Most newborns love being in the water, it is familiar to them, as they were surrounded by water in the womb. Don’t blame yourself. This time does pass and research suggests babies become calmer, with less crying, after 3months of age.